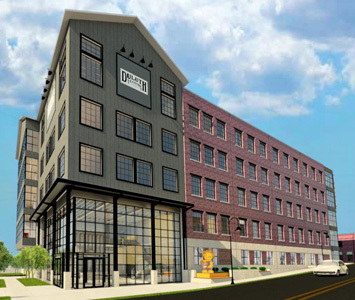 Duluth Trading Company has tapped National Construction to build a five-story facility for their corporate headquarters, just blocks from their flagship retail store in downtown Mount Horeb, Wisconsin. The Wisconsin-based retailer has gained national acclaim for their solution-based clothing and humorous marketing. Construction is anticipated to begin in February 2017, with the company slated to move in a year later. The project will contribute to the revitalization of the Front Street portion of Mount Horeb’s iconic downtown, feature the adjacent Military Ridge Bike Trail and reflect the industrial, railroad history of the area. “We’re thrilled to be part of the exponential growth of a local business, and proud of our shared commitment to the Mount Horeb community, ” said Jeff Grundahl, owner of National Construction.